Great fun- remember the sun screen if you head to Australia from the states in the winter. Wonderful way to get familar with the Sysney Harbour and neighborhoods. Such a beautiful place! We used this 2 day hop-on-off tour for our first couple of says after 24 hours of travel and it was a perfect way to recover and be doing something as well! Definitely recommend getting off and seeing the various sites, taking a hike at each and having a meal. My husband and I were in Sydney for only 3 nights and wanted to make the best of it. Someone we met who already traveled to Sydney advised us to get the hop-on-hop-off cruise pass. We did it and absolutely loved it! 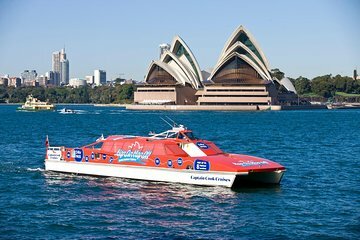 It was the best thing we could've done to enjoy the sights and sounds of Sydney Harbour. We enjoyed the 2 day pass with the Taronga Zoo tickets. We love being on the water and enjoyed being able to get off and get back on. The only thing is, we did get a bit confused trying to read the schedule on getting around, so make sure you understand it. 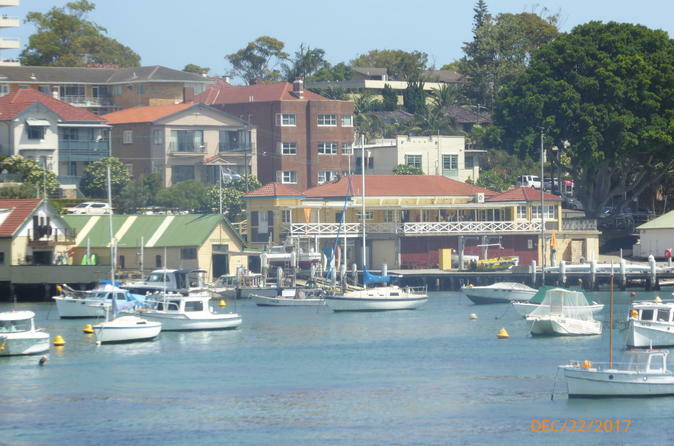 Excellent 2 days on the hop on hop off cruise where we visited Manly and Watson’s Bay. We also used the small boats to and from Darling Harbour to Circular Quay - a very good service overall. A good way of getting about sydney harbour. There is a ferry every hour.A lot of people go to Taranga Zoo so that is always busy in the mid morning.Be prepared to walk a lot there if the cable car is too busy.You can also go on to Watson's Bay where you can either eat expensive Doyles fish and chips or go on some nice walks along the coast hilltops.It is a bit more difficult to go to Manly Beach as you have to change at Watson Bay but that is another popular place to go with quite a few restaurants. Possibility to make nice photos of Sydney Opera and spend some time on Shark Island. I wouldn't do it this way again I felt it wasn't value for money. The cruise was very good however the staff was not helpful. First time visiting Sydney which is a beautiful so we were not familiar with anything in regarding how the cruise worked so asking questions to the first person we came in contact with boarding the hop on hop off cruise at Circular Quay and she was not friendly or helpful it was like we were bothering her. I believe the staff needs to be a little in tune more with tourists that come from other countries who are not familiar with the different areas of Sydney. We loved Sydney and Watson Bay and did the walk along the ocean to the lighthouse which has gorgeous views all along the way. Bondi Beach was great and my husband and I had lunch at The Bucket List on the beach which was delicious I recommend.